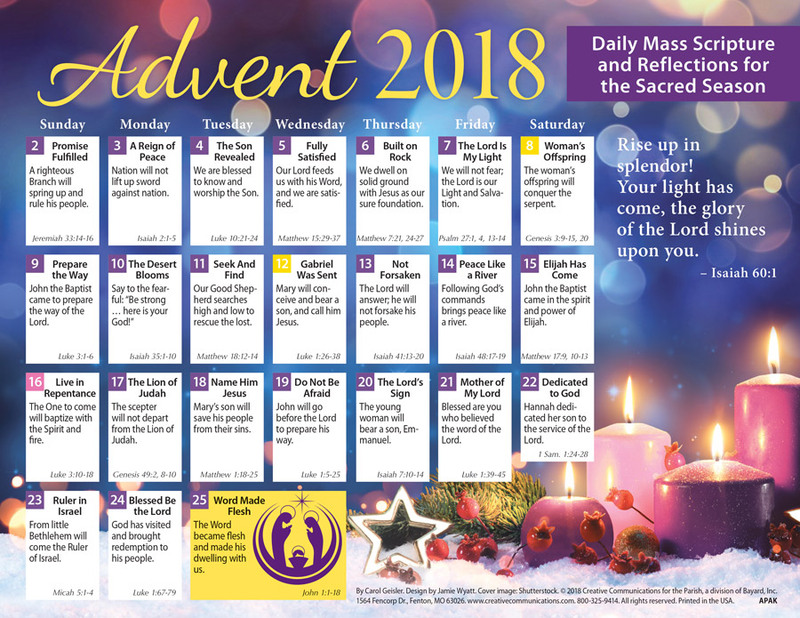 This simple, daily Advent calendar for adults and families provides a simple spiritual pathway to Christmas. Short messages with related Scripture verses fill the weeks leading to Christmas. Special messages or the dates and times of Advent and Christmas services fit on the blank back. Perfectly suited for the refrigerator door or bulletin board. Click here for calendar preview.